All about the new Apple Park campus. 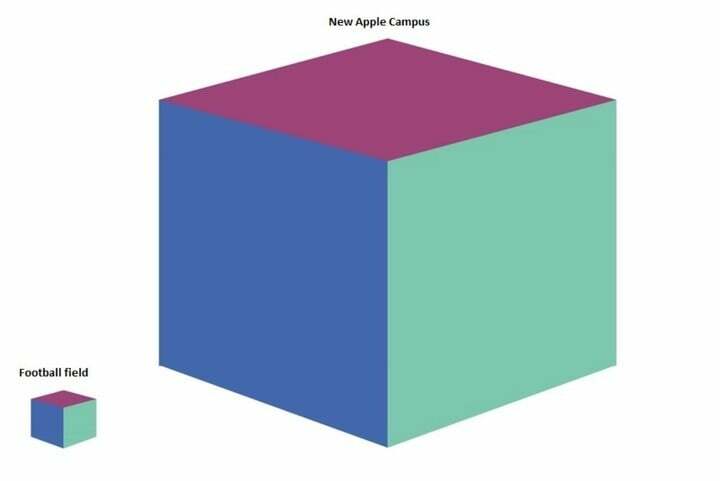 One of the final products Apple co-founder Steve Jobs had released before his premature death was the blueprints for a new Apple campus. That product, now called the Apple Park, is finally about to launch. Here you’ll learn all about Jobs’ last big project. 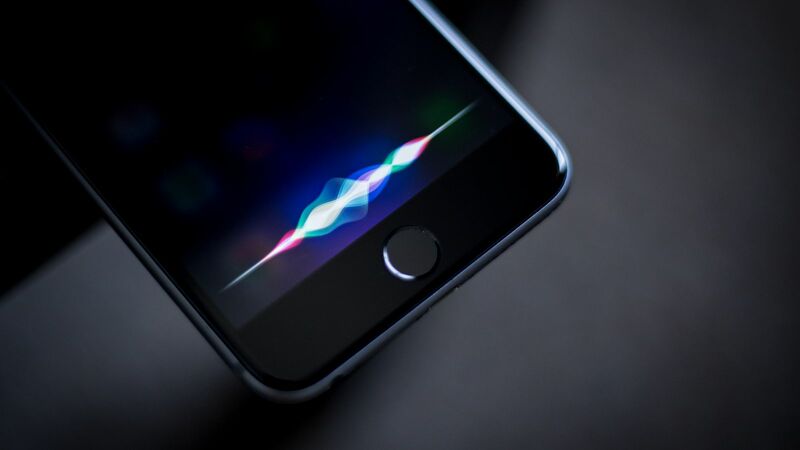 You and countless others love Apple for one reason: Its brand – the emotional connection you have with its products. (Like the altruistic red iPhone, for example). The story of how Steve Jobs created an entire culture at Apple to innovate and “build from the heart” is one of the best, if not the best, marketing phenomenon of our generation. You feel something truly special when you use an Apple device. It’s one of the reasons why Apple is the most valuable company in the world. 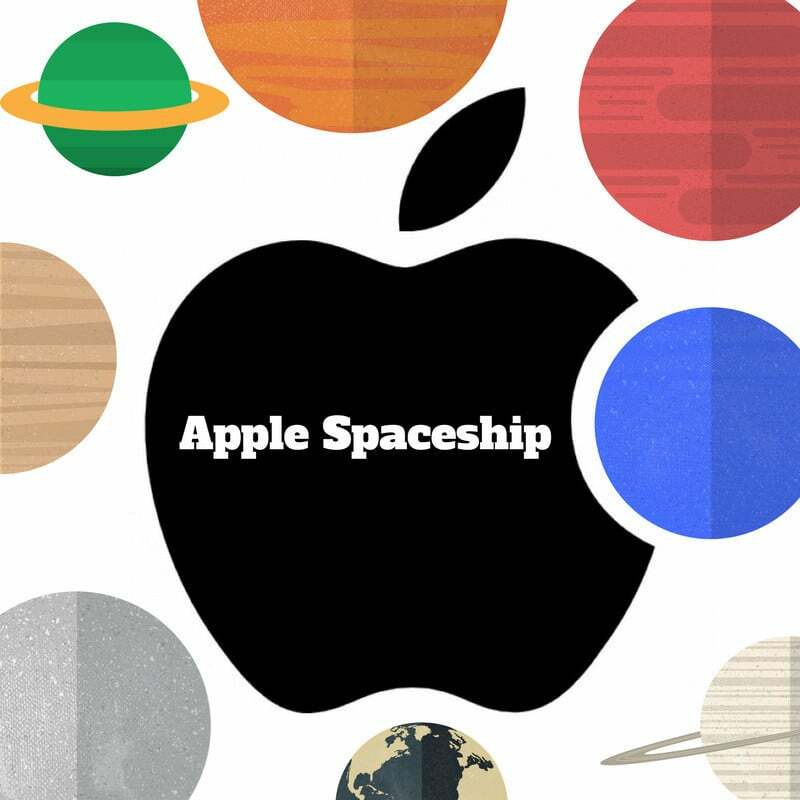 The company’s latest project, the new Apple Campus – also known as “Apple Park” and “Spaceship Campus,” embodies these difficult to explain feelings. 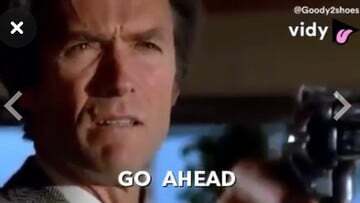 In fact, it’s a project that Job came up with himself, and probably the last product we’ll ever see released straight from the iconic co-founder. In this post, you’ll learn more about the new campus, scheduled to begin opening in April 2017. Let’s jump right in. There are a lot of good ideas. Translating a good idea into a great product is unbelievably hard. There are so many details. 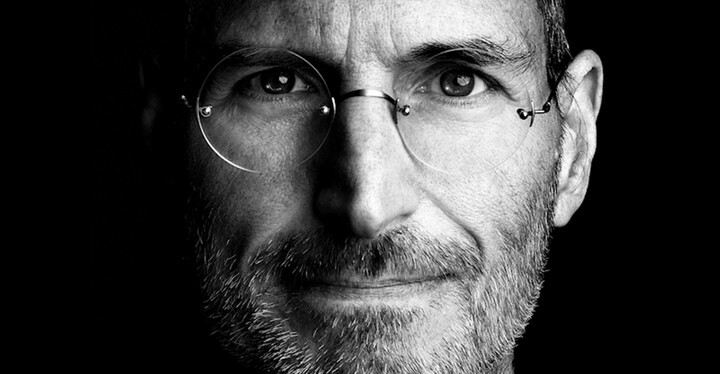 Steve would translate good ideas into a finished product unlike anyone in the industry. And the new Apple campus is exactly that. It’s amazing. 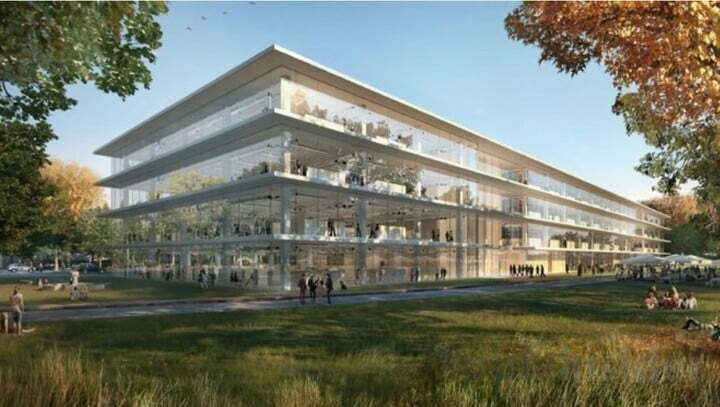 Apple Park is 2.8 million square feet and is expected to house around 12,000 employees. 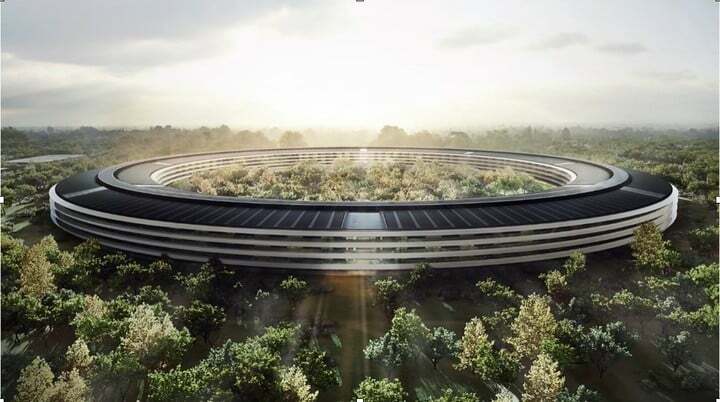 Located in Cupertino, California, it’s going to cost a total of around $5 billion to build when it’s done. The building stretches more than a mile in circumference. So if you wanted to go on a 2-mile run, you could just run around Apple’s new campus a couple times! (Even though Apple security probably wouldn’t let you). The facility’s roof is made almost entirely out of solar cells, which gives the campus the ability to be self-sufficient in clean energy production, making Apple Park one of the largest corporate solar installations in history. This roof is estimated to be about 750,000 square feet, approximately 500,000 of which is utilized for efficient clean energy. 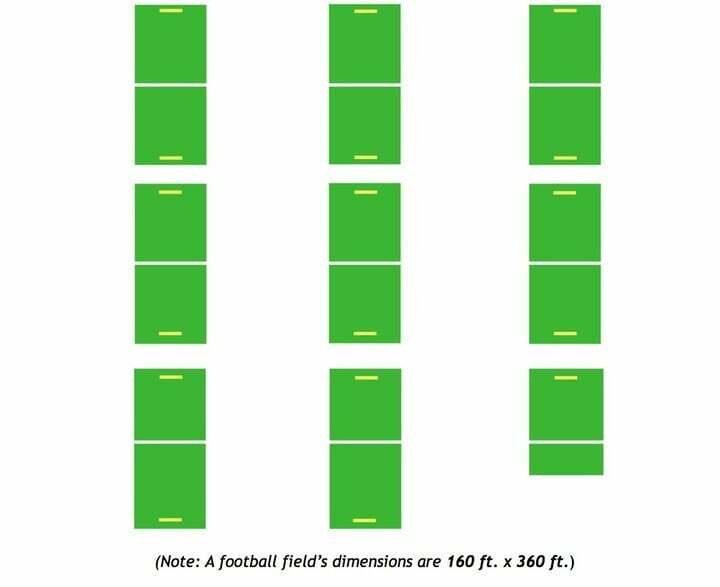 (And that’s not including the panels from the parking lot, which you’ll learn about later in this post). 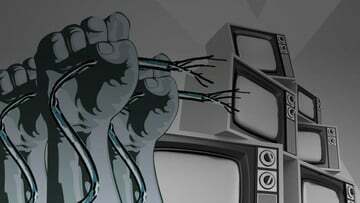 For example, they’ll have to figure out how to transfer wattage (choosing and installing the right strength of NEMA cables) through the right medium, measure and optimize HVAC flow, etc… the list goes on. Another awesome feature of the new Apple Spaceship is that it will soon have a massive theater for new product presentations. The Steve Jobs Theater is located underground and will seat around 1000 people. Probably one of the most appealing characteristics of the new campus is its spaceship design, which has a massive courtyard in the middle. The courtyard is 100 percent dedicated to forestry and contains more than 3,000 trees, all surrounded by 6 kilometers worth of glass windows so employees can feel immersed in nature. As an added touch, there’s also a giant fountain right in the middle. The facility has a $74 million, 100,000 square foot fitness center dedicated to its employees. The new Apple campus’ parking lot is gargantuan. The underground parking lot has about 14,200 available spaces. In fact, there should be over 300,000 square feet dedicated to R&D facilities and parking ALONE. And that’s not including the space for the main building. Yet, as you could probably expect from the late Steve Jobs, even the underground parking lots were designed with aesthetics in mind. The exterior of the parking structure is also utilized for solar panels, which will help Apple reach its goal of becoming 100 percent clean energy-powered. On a separate note, the R&D facilities are impressive as well. 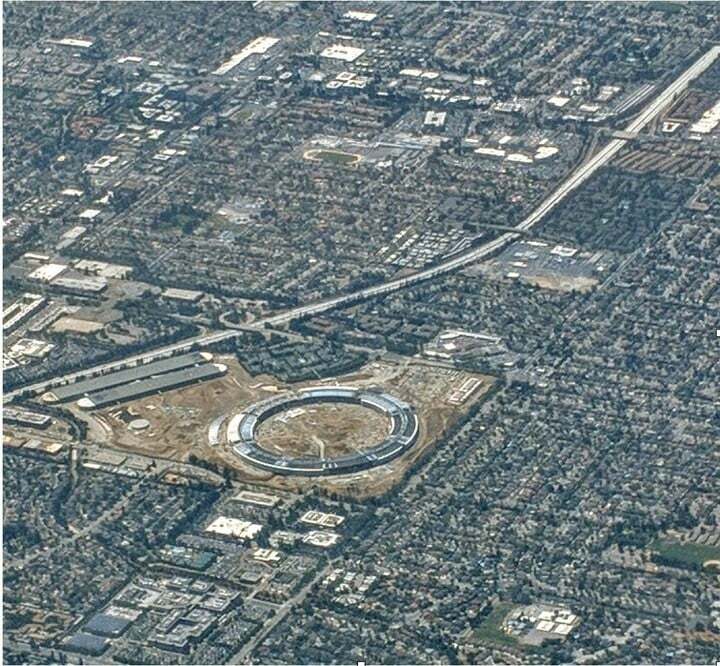 According to AppleInsider, the R&D facilities outside of the main ring-shaped building houses about 2,200 employees and will take up about 16 acres. 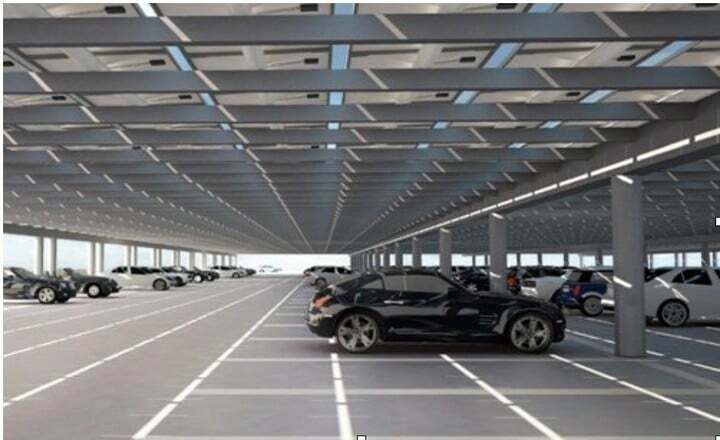 The 280 parking spaces underneath the R&D building will even have facilities for electric vehicles. 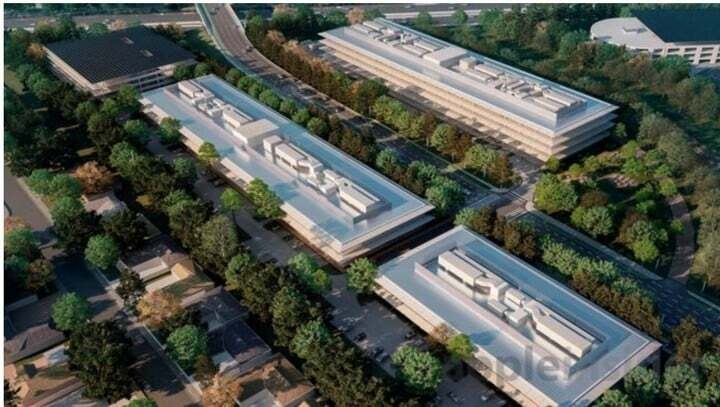 (There are rumors that Apple might try to build a self-driving electric vehicle in these very facilities). The R&D facility has a kitchen, dining facilities with great views, an espresso bar, and an acoustic wall to block traffic noise. All of this creates a serene workspace for the designers. 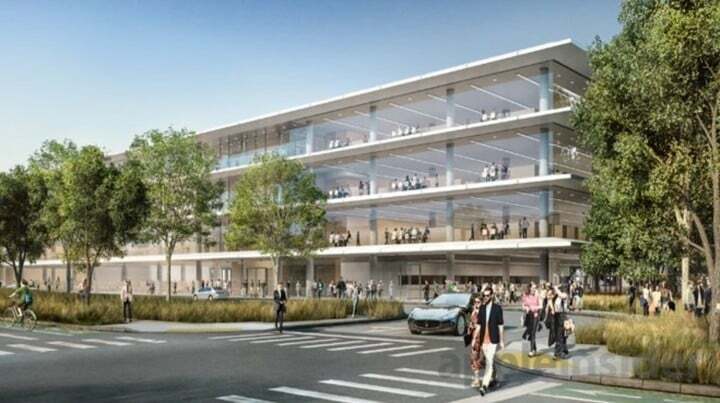 Here, you’ll find a five-story parking structure (also outfitted with solar panels) that can hold 620 cars and a 32,000 square foot data center in the basement. All of the interior wood is from only one specific species of maple. There are cafes, lobbies, and entrances for EACH section of the main building. The building is optimized so departments can work horizontally AND vertically. (i.e. the marketing team can work closely together, but the software engineering department is close in proximity as well). The main building will not need air conditioning for nine out of 12 months because of advanced natural ventilation. According to reports, the campus will use recycled water. The campus will be extremely private to maximize security and concentration to the products, ideas, and creativity of its employees. As with Apple’s products, Jobs wanted no seam, gap, or paintbrush stroke showing; every wall, floor, and even ceiling is to be polished to a supernatural smoothness. All of the interior wood was to be harvested from a specific species of maple, and only the finer-quality “heartwood” at the center of the trees would be used. Apple is a company that has stuck to its values and, more importantly, translated those values into its products. Great design, emotional connection, ease of use, and excellence are all cornerstones of Apple’s products. As you hopefully have seen, the same can be said for the new Apple campus. It reflects Steve Jobs’ innate ability to produce innovative and intuitive products. The facility is state of the art to maximize creativity and focus so its inhabitants can create the best products on the market. 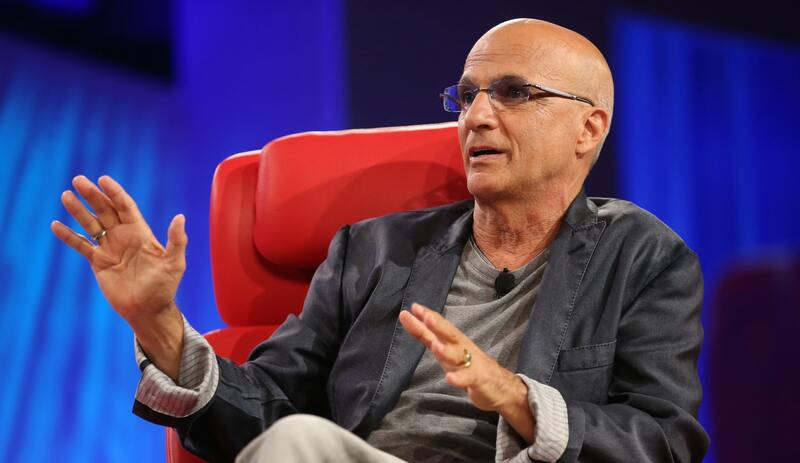 And it also seems that Apple is going to be a leader in the sustainability revolution. Leave a comment and let us know what you think of the new Apple Park campus. Maybe we’ve missed something or you think there are some other areas Apple could work on to make the ultimate work environment. Whatever your thoughts, we look forward to hearing from you in the section below. Matt Meiresonne is the green-engineering-obsessed founder of Engios, a blog focused on improving environmental quality through science, technology, and engineering practice. He provides insanely practical advice (that’s also simple and digestible) to get people like you to reduce their footprint. For more information, you can check out his about page.